Ingersoll Island is separate from yet connected to Sandy Island by both proximity and their shared, locally uncommon vegetation communities. Ingersoll is located on Sandy’s eastern shore. 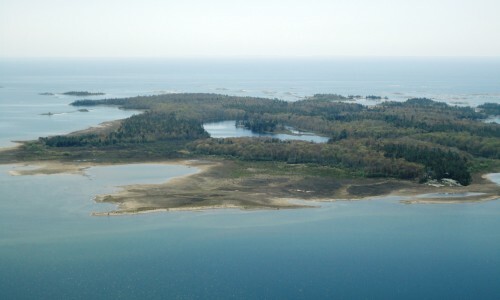 Just west of Parry Island in the Township of The Archipelago, the Sandy and Ingersoll properties are unique in the area for providing habitat for a number of vegetation communities and species with southern affinities. The shore of Ingersoll, Sandy and many of the islands immediately adjacent have been identified as a provincially significant wetland. Ingersoll’s varied and significant communities provide for extensive high quality habitat for many fauna species, including several species known to be at risk in the region such as Eastern Foxsnake.